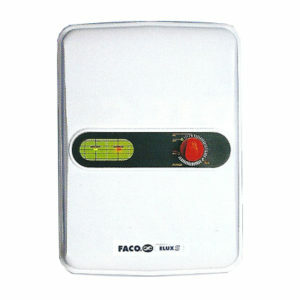 The Faco Elux 3 ELCB is modelled after its users. Only those who lead quality, challenging and active lifestyles seek the Faco Elux3 ELCB. Exclusive and irresistibly priced. 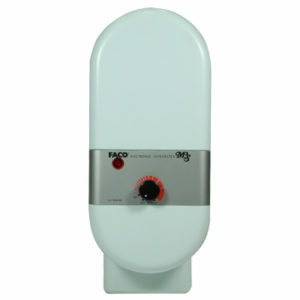 It is so sleek and compact that it fits snugly into any bathroom. 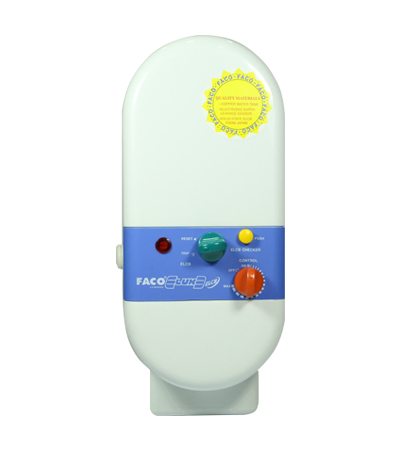 The Faco Elux 3 ELCB features the ECO-system, (Electronic Conservation Operation) which works wonderfully even at low water pressures -0.21 kg/cm sq (3psi). It gives you instant hot water at a constant temperature you desire, saving TIME and WATER. Another advantage of the ECO-system is the built-in “thermal” cut-out device which prevents over heating automatically, saving ENERGY. The Elux 3 ELCB is stringently tested for quality, durability and reliability, ensuring years of trouble-free and maintenance-free use! 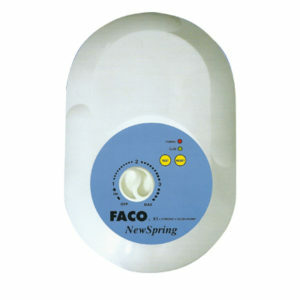 Same as Faco Elux 3 but with additional safety ELCB device.